Three city projects for two potential restuarants and a proposed theater on Howard Street are ongoing. The street has been a focus of economic development efforts in recent years, spearheaded by Ald. Ann Rainey (8th). Two city-owned properties may soon be functioning businesses again, as Evanston officials work toward filling currently vacant spaces on Howard Street. The city is working with one potential occupant for 727-729 Howard St., said Johanna Leonard, economic development manager. For 633 Howard St., a former police outpost, the city does not have a potential occupant. Ald. Ann Rainey (8th), whose ward’s southern border is Howard Street, said in an email she was “extremely hopeful but very realistic” about the property at 727-729 Howard St. Although Rainey declined to give any more details about the potential use for the space, she said she expects to hear “good news” soon. Economic development of Howard Street has been a focus of some city officials — Rainey in particular. The city has previously helped two restaurants — Peckish Pig and Ward Eight — open up on the street. The concept for 727 Howard St. is a fine-dining restaurant, Leonard said. Although city officials are close to a deal, the business has to get aldermanic approval. “We own those properties. So if they seek to lease those properties, they have to go through the City Council process and get that approved,” she said. The city had previously made an agreement with Strawdog Theatre Co., ensuring they would be the tenants of the theater if its construction was approved by the City Council. In the spring, the space at 633 Howard St. was the subject of a disagreement between Strawdog Theatre, city officials and a Chicago business, Good to Go Jamaican Cuisine and Catering. The city had put out a request for businesses to show interest in the space, and Good to Go was the only respondent. In the meantime, Evanston officials proposed the property be leased temporarily to Strawdog Theatre, which was in need of storage space. The building Strawdog was in at the time was set to be demolished, and the theater had found performance space on the Chicago side of Howard Street, a few blocks away from the outpost. The deal sparked backlash from some aldermen, who felt the move would signal the city was going to move ahead with plans to construct the Howard Street Theater. Soon after, Strawdog decided to discontinue its partnership with the city in the potential Howard Street Theater project. The city is currently working with a potential new company to fill the proposed Theater, Leonard said, but the deal is not yet finalized. “We’re working through what that would look like in terms of a final agreement,” she said. Leonard said they will return to the Economic Development Committee meeting Oct. 26 to provide updates on all three properties. Anne Carlson, who owns the bar Ward Eight, 629 Howard St., said she thought the Howard Street Theater was a “great” idea. The bar has been open for almost four years in a building that was formerly city property. 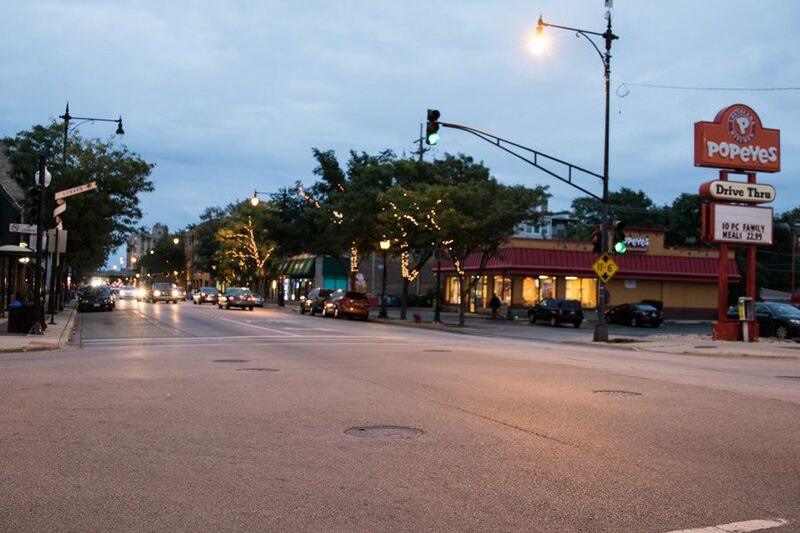 Carlson said they chose to locate their restaurant there, in part, because of the opportunity to own their own building and because they heard from residents of south Evanston the area could use its own restaurant scene. Howard Street typically has more car traffic, but the theater would help to increase foot traffic on the street, Carlson said. “The city is looking in the right direction,” she said.